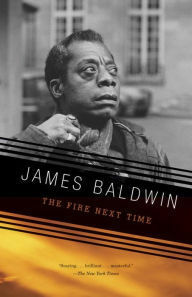 Ta-Nehisi Coates cites James Baldwin’s “The Fire Next Time” as an influence on “Between the World and Me.” Both books are letters, Coates’ to his son and Baldwin’s to his nephew, but both have a larger audience. Join Seth Patterson to discuss questions such as: What is similar and different in the experiences the two books written 52 years apart describe? What challenges do these writers present to readers? How do the books relate to current events and to Plymouth’s work on racial justice? Joan Thompson, Ph.D., is a retired American Literature and Composition Professor with a focus on American Multicultural Literature. Seth Patterson, MFA & MDiv, is Director of Spiritual Formation and Theater; liaison to the Racial Justice Initiative. 1:00–2:30 p.m., Thursdays, March 14—April 11. Free; please register.